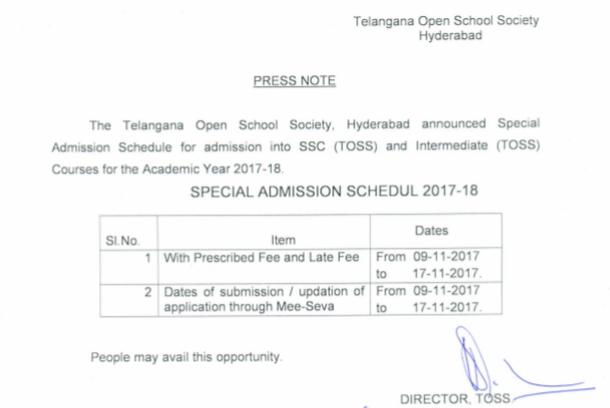 Telangana Open School Society given a chance to admission into toss SSC and intermediate from 09-11-2017 to 21-11- 2017. 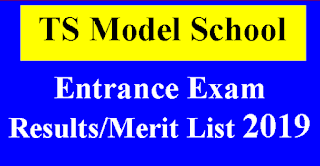 Special admission schedule was issued from 9/11/2017 to 21/11/2017 to admission in to Open SSC and Intermediate. 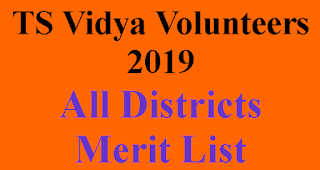 2-Dates of submussuon /updation of application through Mee-Seva From 09-11-2017 to 21-11.2017. Candidates may avail this opponunity.